Kathy is a chemistry professor and my second cousin. Our great-great grandfather was a Pennsylvania Dutch furniture maker, and I have two things he made; I cherish them. 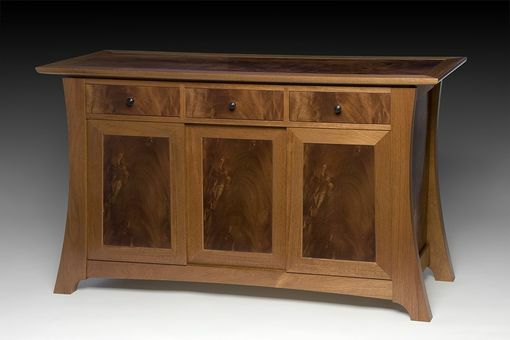 I wanted to build this buffet so it would be enjoyed not only by Kathy and Tom, but by their children and grandchildren and great-grandchildren. May the circle be unbroken.